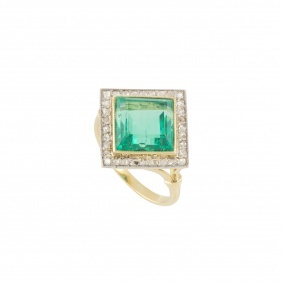 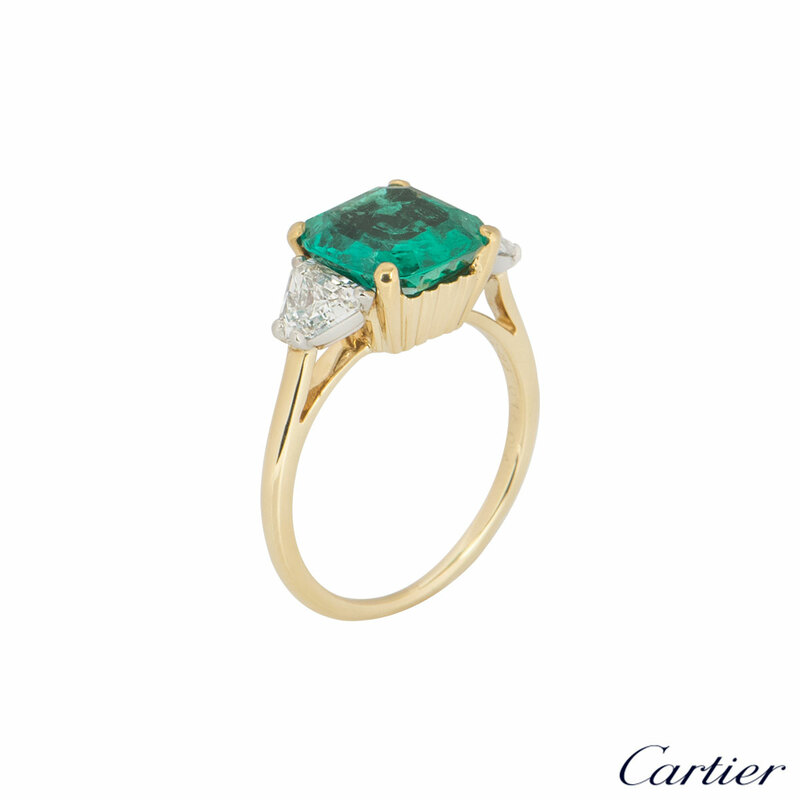 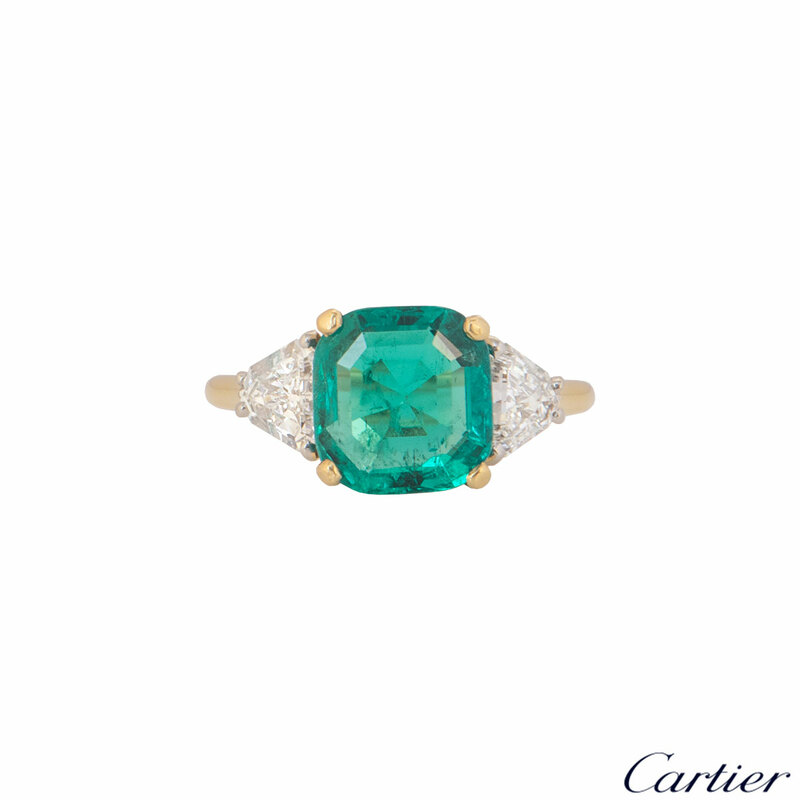 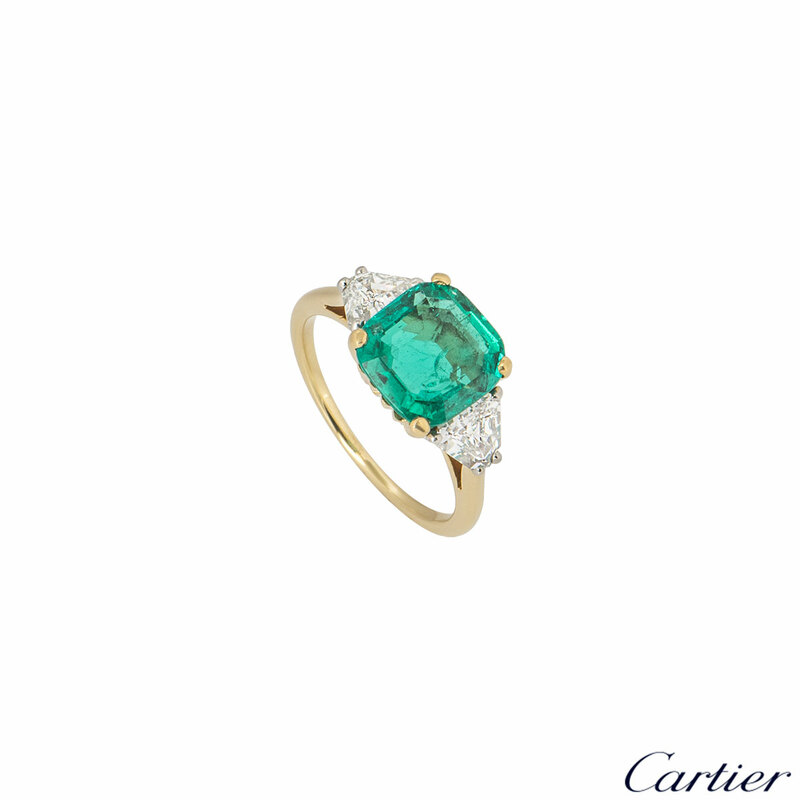 An 18k yellow gold emerald and diamond ring by Cartier. 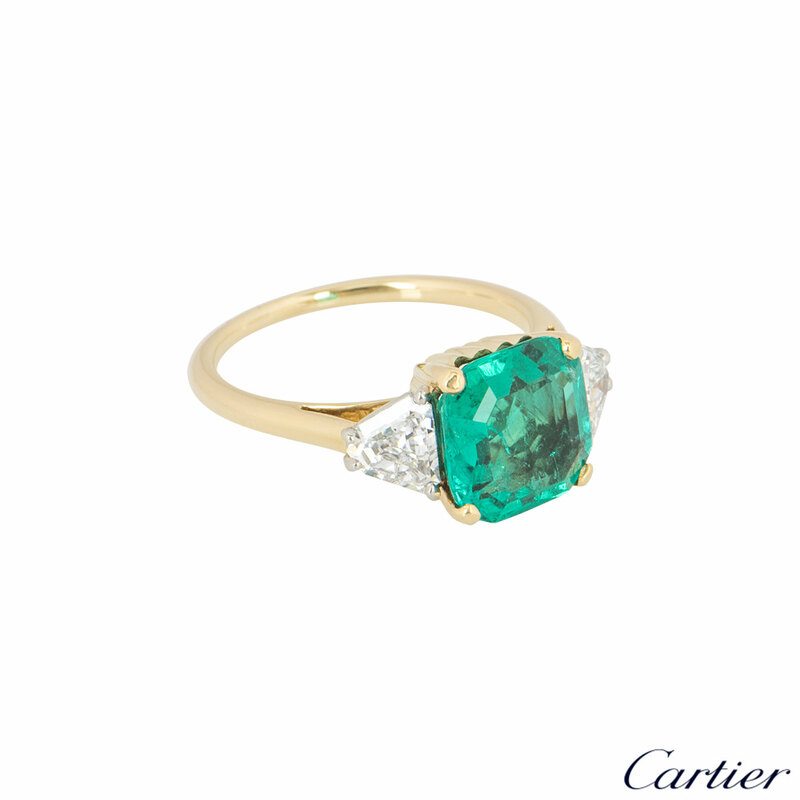 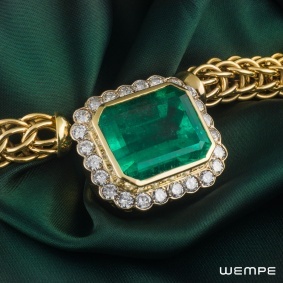 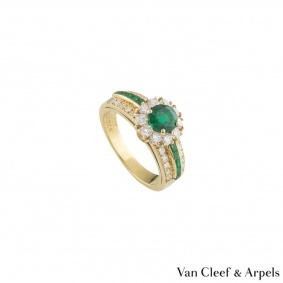 The ring comprises of a cushion cut emerald set with a single trillion diamond on each side in a platinum claw. 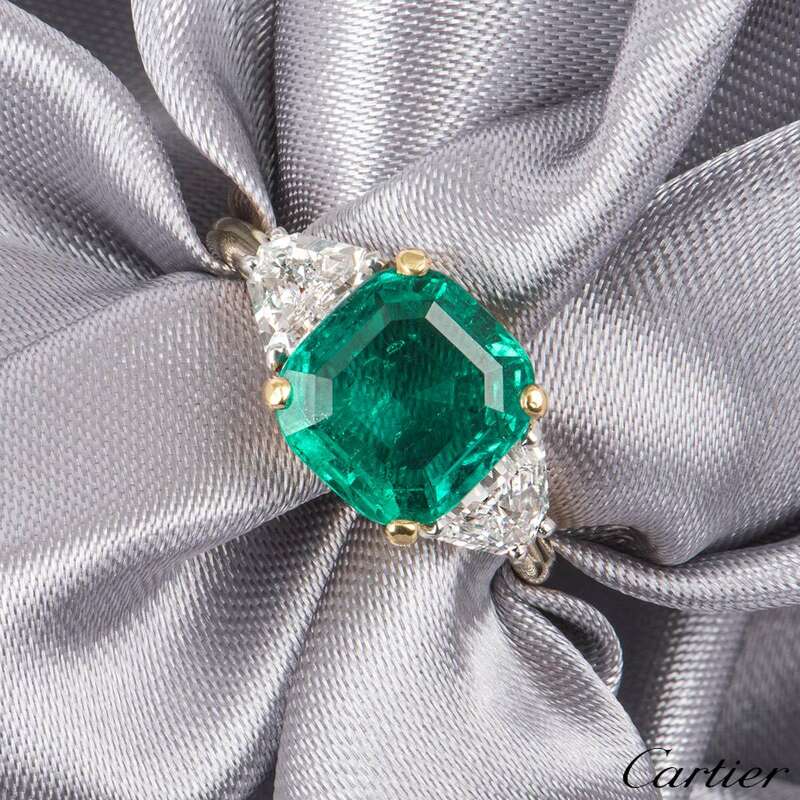 The cushion cut emerald has an approximate weight of 2.26ct and the trillion cut diamonds have an approximate total weight of 0.90ct. 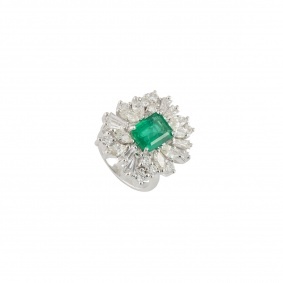 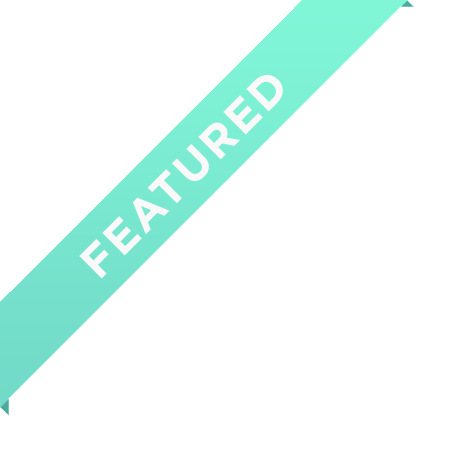 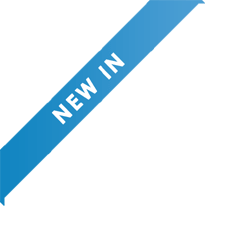 The ring is currently a size L but can be adjusted for a perfect fit with a gross weight of 3.90 grams. 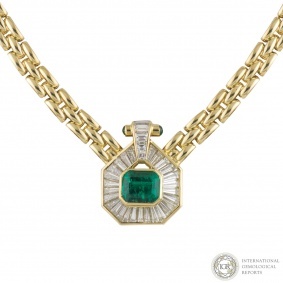 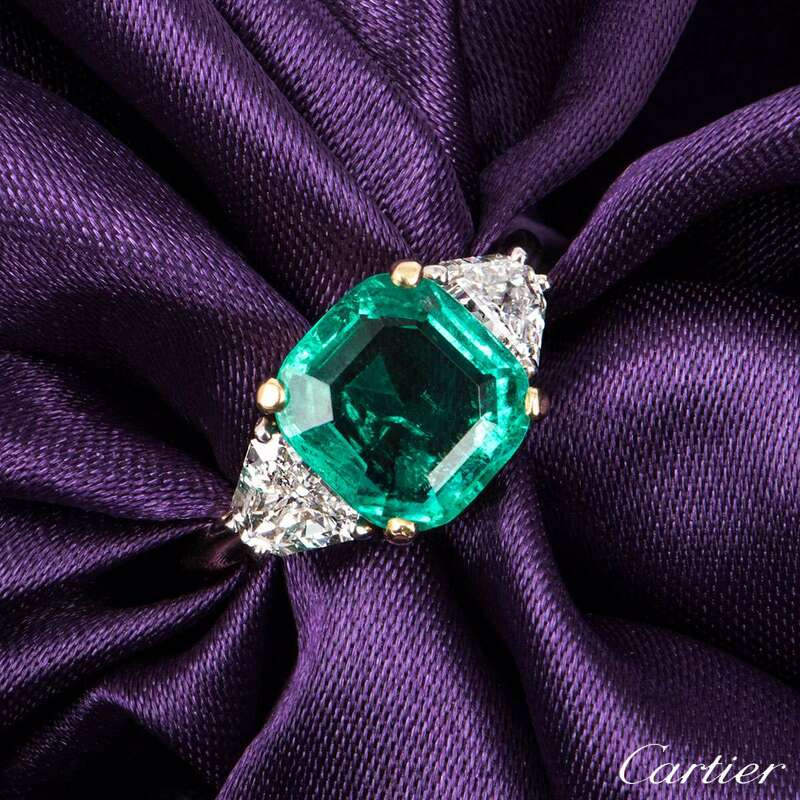 The ring comes complete with a Cartier presentation box, Laboratoire Francais De Emmologie emerald report and Cartier valuation for insurance dated December 2011.